You should be making it a priority to protect as much data as possible. As far as how much specifically you should aim for, the answer is all of it, if possible. Data is difficult to replace in the business world, and it can lead to missed opportunities in the long run if you lose important data. It’s also important to note that you can’t guarantee that data won’t have a use sometime in the future. This is the reason why tape backup isn’t the preferred solution. While it takes complete backups, they need to be done after-hours, and if you go just one day without a backup being taken, it’s up to 24 hours of data that could potentially be lost. 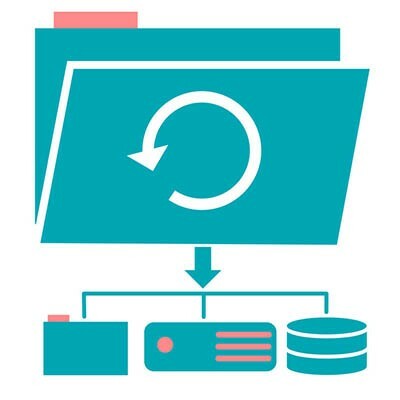 If you use an automated cloud-hosted data backup system, you can take snapshot backups of files that have been changed since the last backup was taken, allowing for more frequent backups. If your business falls victim to a disaster, you’ll want to use only your most recent backup. Using anything less means that you’re losing more data than necessary, which is never what you want to settle for. What happens when you do suffer a data loss and you find out that your most recent backup is from the previous week, or even a couple of days prior? We recommend that your backup system take backups as often as every fifteen minutes, minimizing data loss in the event of a disaster. If your business suffers from a data breach, it’s important to think about how fast you can get back to business following this disaster. Any time where your organization isn’t working the way it should be is called downtime, and it’s more expensive than you might initially think. You have to factor in paying for technology that isn’t working, employees who aren’t working, and sales or work that’s not getting done, totaling together to create a considerable cost that’s hard to justify. This is why it’s so important to make sure you can restore data as quickly as possible, as any time your organization isn’t working comes directly out of your profits. Basically, when a disaster strikes, it’s important that you have full, complete, recent backups that can be restored in a moment’s notice. With Technology Specialists’s Backup and Disaster Recovery (BDR) device, you can have just that. To learn more, reach out to us at 260-422-3979.